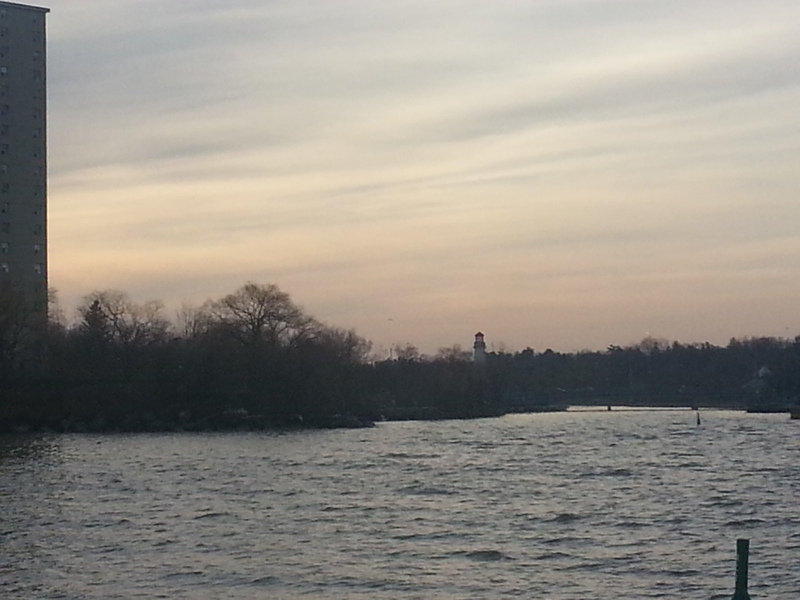 Port Credit is a neat little community on the lake. 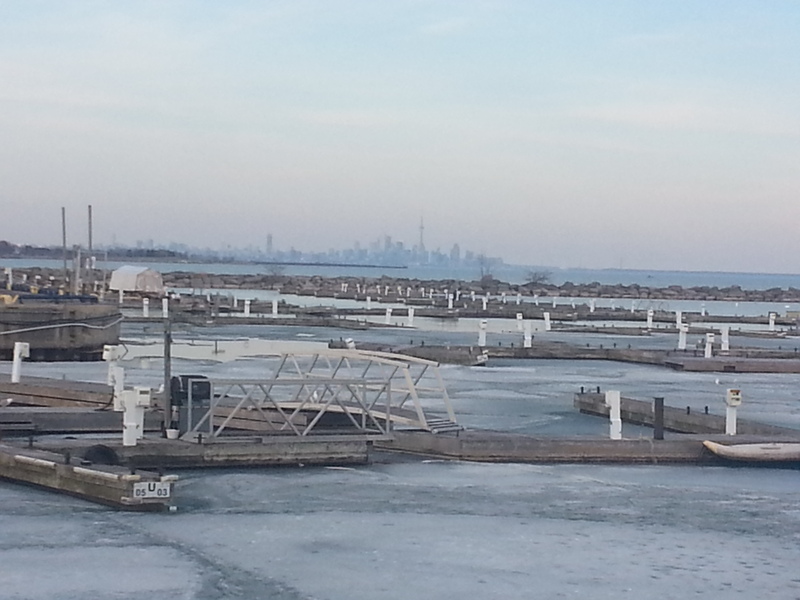 As a Toronto guy, I can’t help but compare my city’s harbourfront to Port Credit. 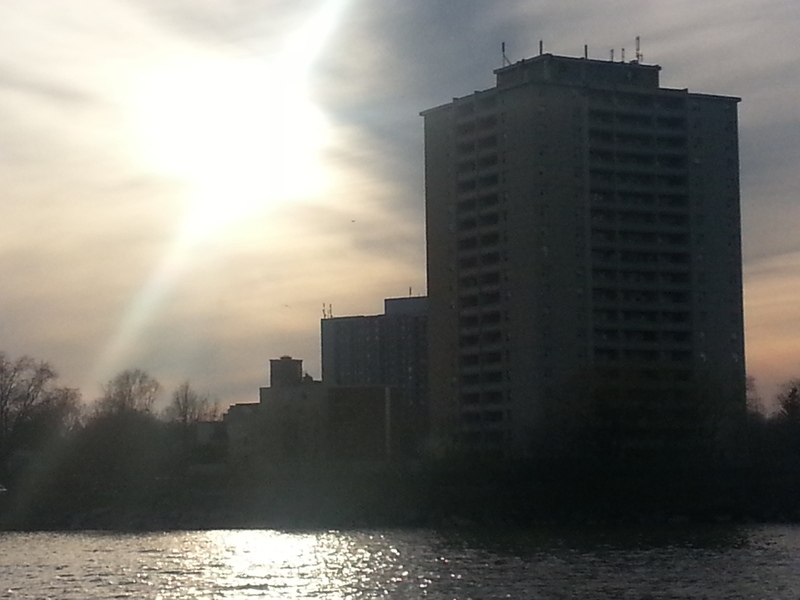 I imagine in both there’s some sort of evolution involving an aboriginal past, heavy industry, boating, and the like. But where Toronto’s waterfront seems psychological and physically cut off from the rest of the city by the Gardiner Expressway, Port Credit seems more integrated, beautiful even (especially at sunset!). Just my thoughts, anyways. 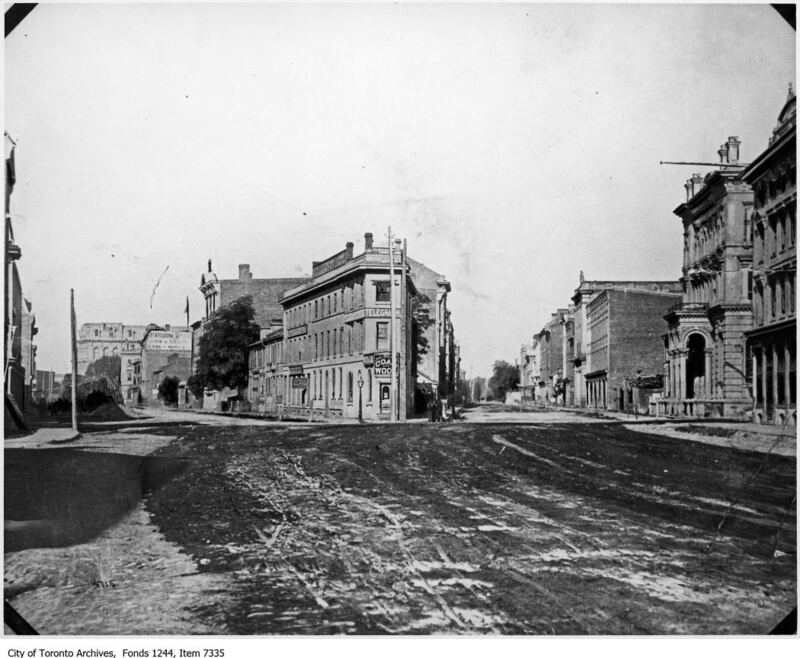 I begin at St. Lawrence Hall, the famed 1850s building that impressively mans the corner of King and Jarvis. It’s become a habit to stop and look up at things I pass, including the archways above doors. Much of the story, allure, and yes, even seduction lies in them. 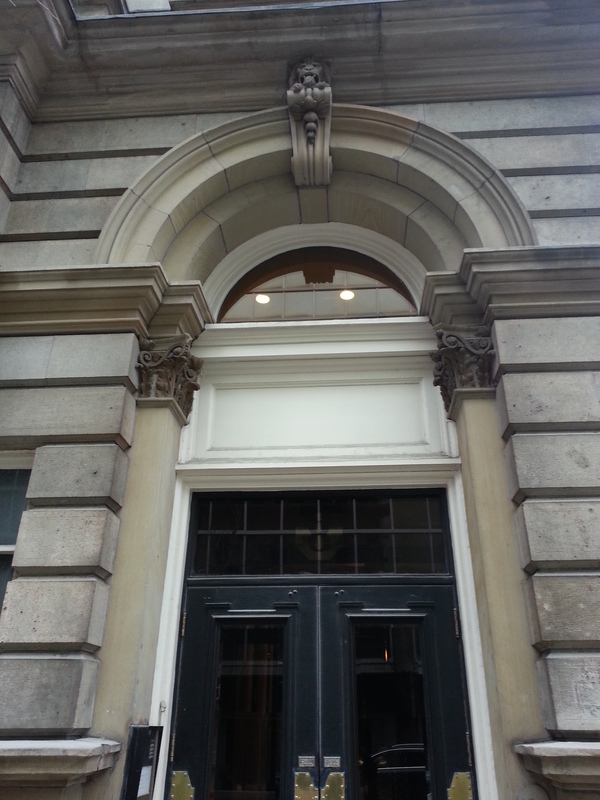 As a civic building, it appropriate contains Toronto’s former coat of arms, which deciphered alludes to the city’s colonial and aboriginal foundations. Above that is the stern visage of an Olympian-like caricature. Glory, mystique, and fear. That’s how I feel. Shallow puddles provide distorted reflections of the towers above. It’s a drizzly one in Toronto, but that’s OK. Hopefully the falling rain will help eliminate the black half snow, half ice banks for good. I turn onto Market Lane heading to Front Street. With the exception of a portion of the Hall, the buildings lining the way are relatively new. But I’m reminded from a past heritage walk that the lane itself isn’t. A sign of that is the watering station – explained to me as a gas station of yore for horse-drawn travellers. 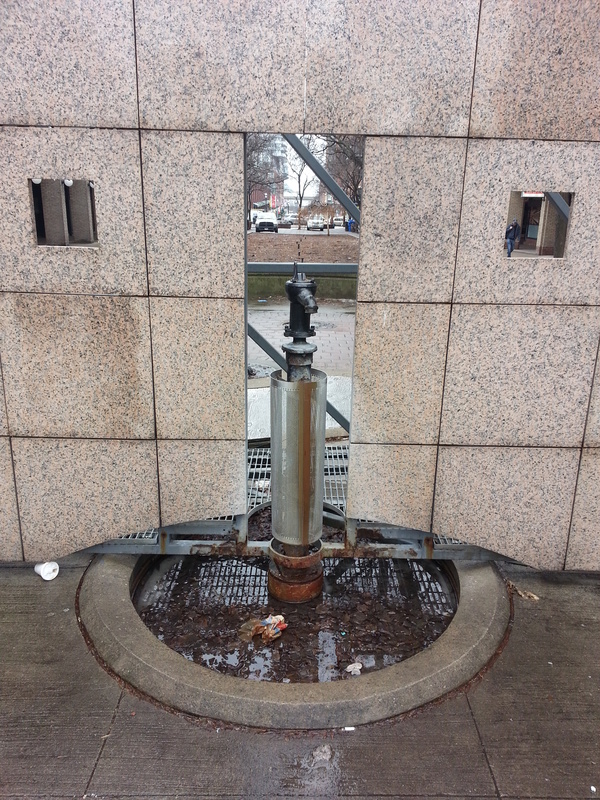 There’s a fountain for people and one for non-human beings below it. 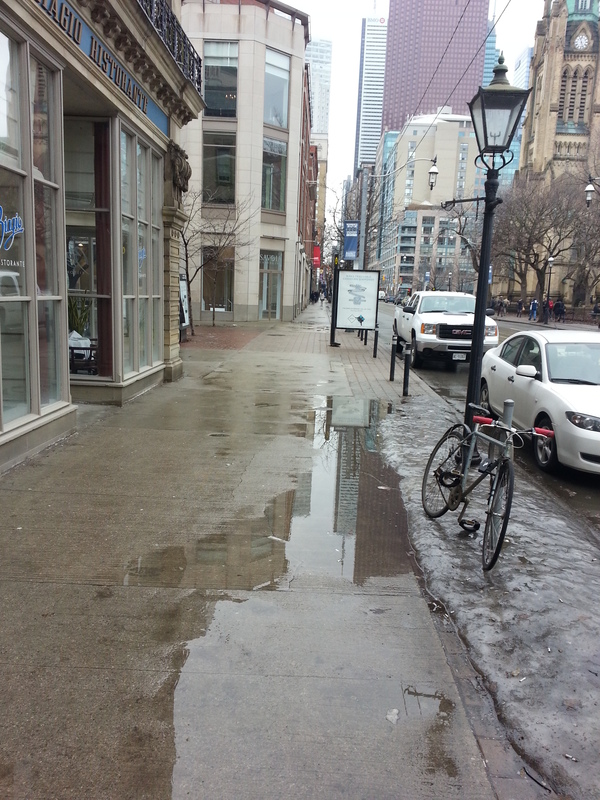 Across Front, the lane continues on as Market Street, recently made to be exclusive to pedestrian traffic. 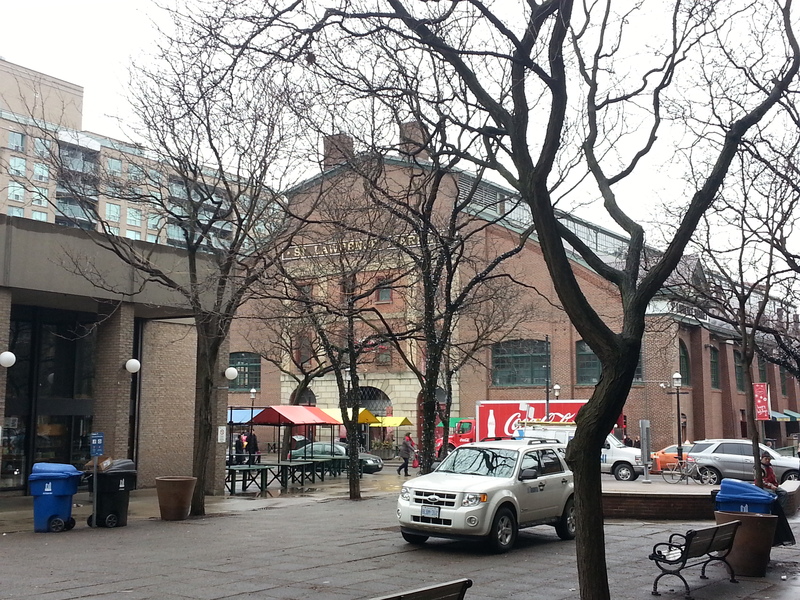 Beside that of course is St. Lawrence Market, itself a former city hall. Beyond the great assortment of tasty foods, it is also a house of culture. The Market Gallery on the upper floors stands where the old council chamber was located. 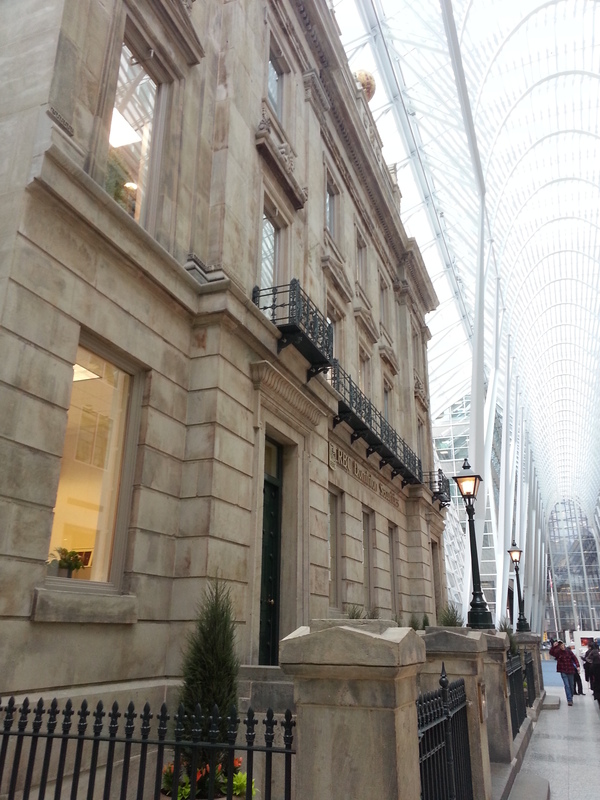 Without a dedicated Toronto museum, the Market Gallery is a favourite place to indulge in the city’s past. Right now the space houses a Toronto Black History exhibition which I admittedly have not seen yet. The previous one, however, on Art Deco in Toronto was masterful. 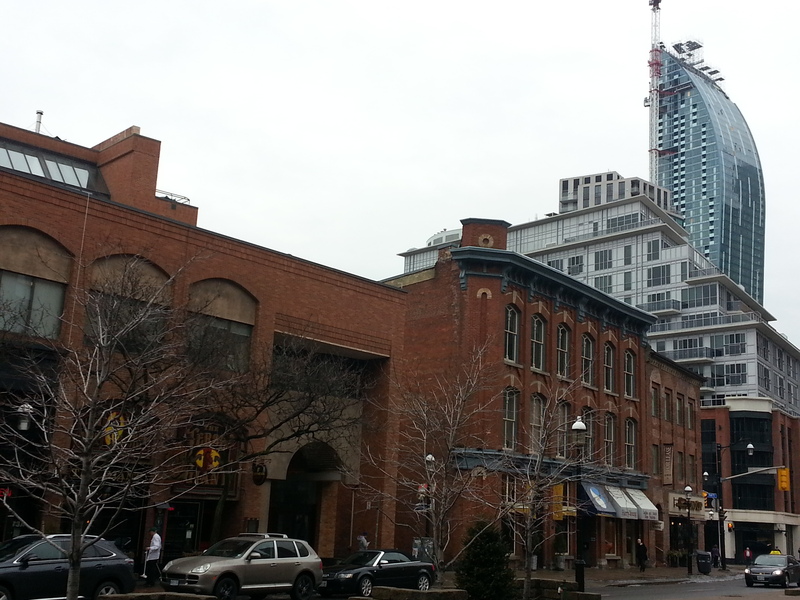 The south side of Front is lined with a row of heritage buildings, all now food franchises. 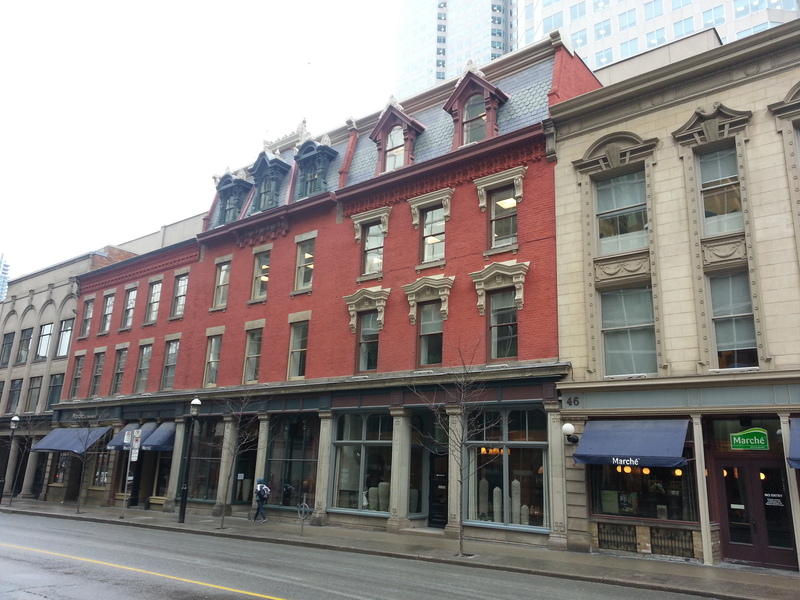 “New ideas meet old buildings”, to put a spin on Jane Jacobs. The street leads up to the most photographed landmark in the city, the Flat Iron Building. I have to think of an old photo of the intersection featuring the Coffin Block, the building’s predecessor. It’s a reminder how layered the city is – that even some of the oldest structures in the city were not the first on their respective sites. The quirkiness of the Front-Church-Wellington intersection which allows such a quirky building disspells the dominant fantasy that Toronto is a perfect grid. 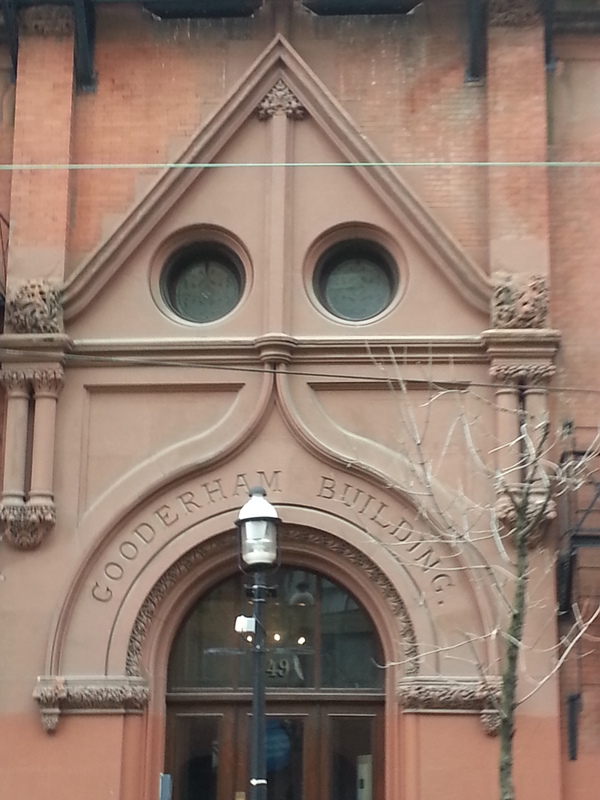 The ‘nose’ of the Gooderham Building is the entrance to a Firkin pub chain, but the entrance to the structure itself is on the south side. Like the St. Lawrence Hall it is marked with a great arch and decorative ornaments. I wonder if it’s all original, but it nonetheless looks really well done. 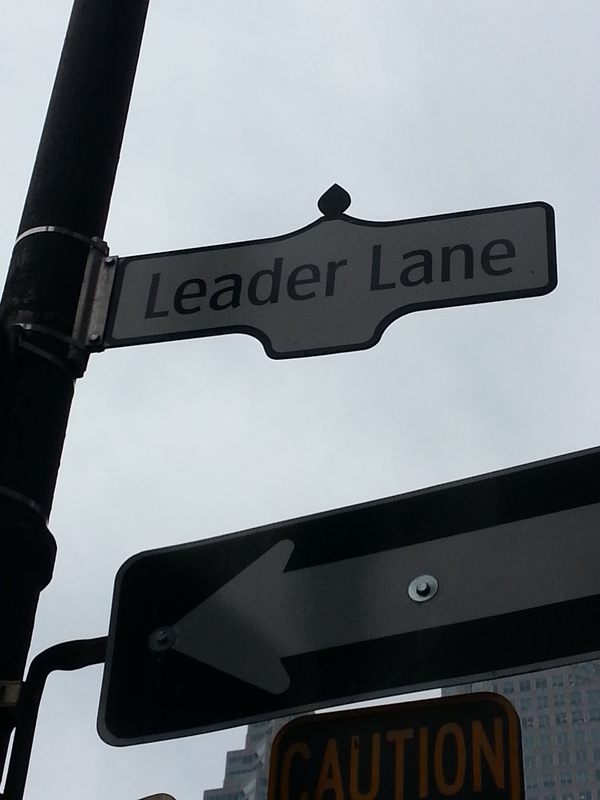 Passing Pravda, next I come to Leader Lane. 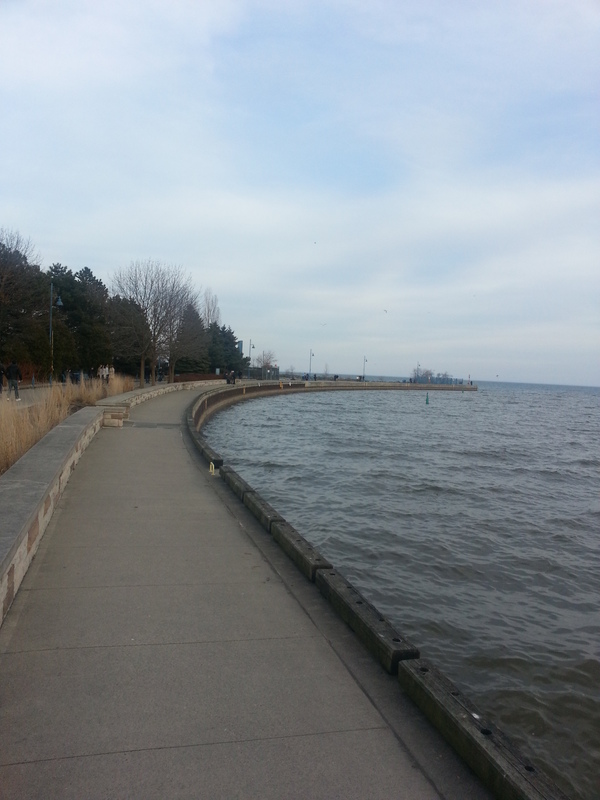 Although the naming of lanes is a curiosity, I don’t follow the lane (get it?). It’s a shame because through further research it is part of a relatively hidden network of narrow streets. 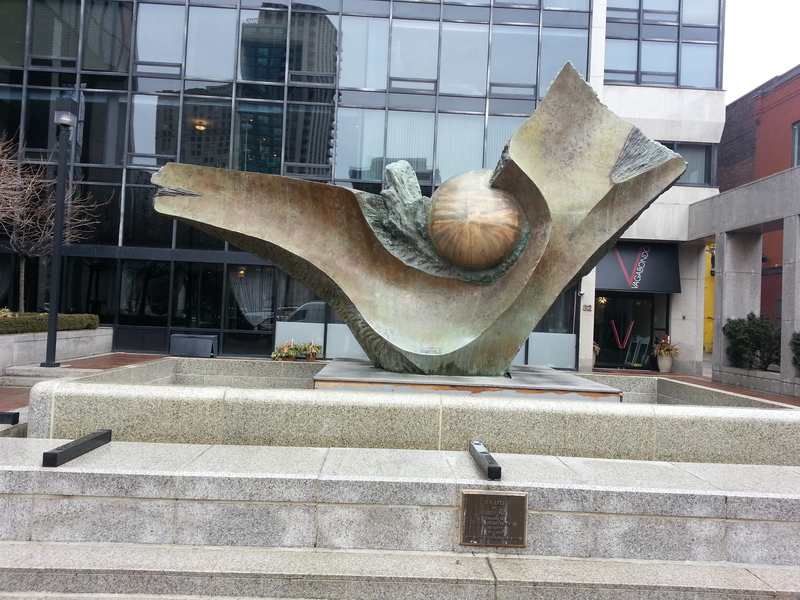 Outside the Vagabondo restaurant (great name) I see a sculpture featuring a bowl-like platform and a spherical thing. Although I have not idea what UV Ceti is or represents, the ball look like a celestial body of some sort. Turns out I was on the right track. A UV Ceti variable, also known as a flare star, is a dwarf star whose temperature and brightness drastically in a span of minutes. Pretty cool, eh? A thank you to Mr. Andrew Posa for his creation! Over my time of studying streetscapes I’ve developed a theory: the greatest structures in terms of grandeur are, in order, churches, government buildings (city halls, parliaments etc), banks, and post offices. Considered under its original incarnation, the Irish Embassy Pub falls into the third category. With its arched windows and doorways and mansard roof, the design is spectacular. 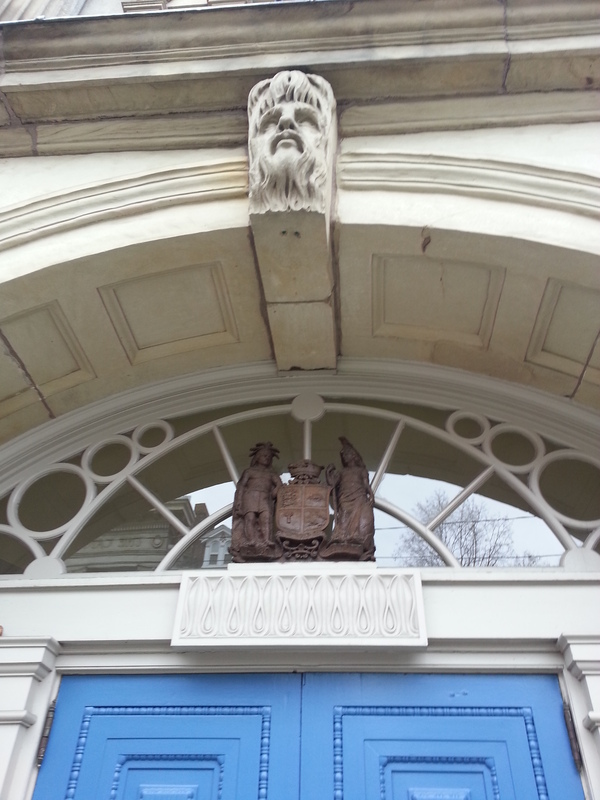 There is even ornamental faces – this time of lions! Looking up though, it’s apparent the wears of history and the elements have left their marks. I cross Yonge and then Wellington to head southbound towards Front. Along the way I pass beautifully restored and coloured historic facades. 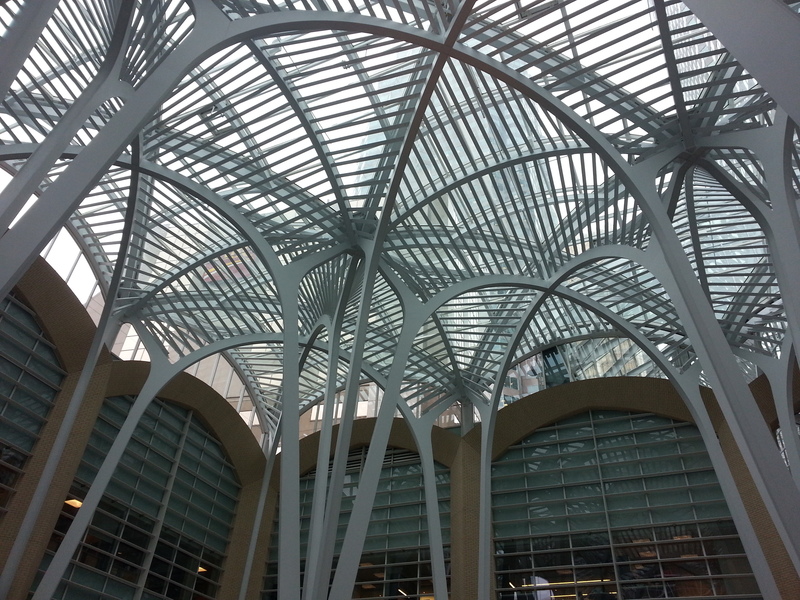 My destination and terminus on this walk is a new building, Brookfield Place. The centre has been on my list of places to visit, so this was a treat. I enter into Sam Pollock Square, named for arguably the smartest man in hockey (at least, according to Don Cherry in an interview with Nardwuar the Human Serviette). The famed roofed is the main attraction with arches and criss-crossing wires. I move into The Allen Lambert Galleria and am greeted by a photo exhibition: George Steinmetz’s Desert Air. It’s a fabulous little showing of unique natural landscapes running until April 17. No pictures from me, but it’s worth a look. 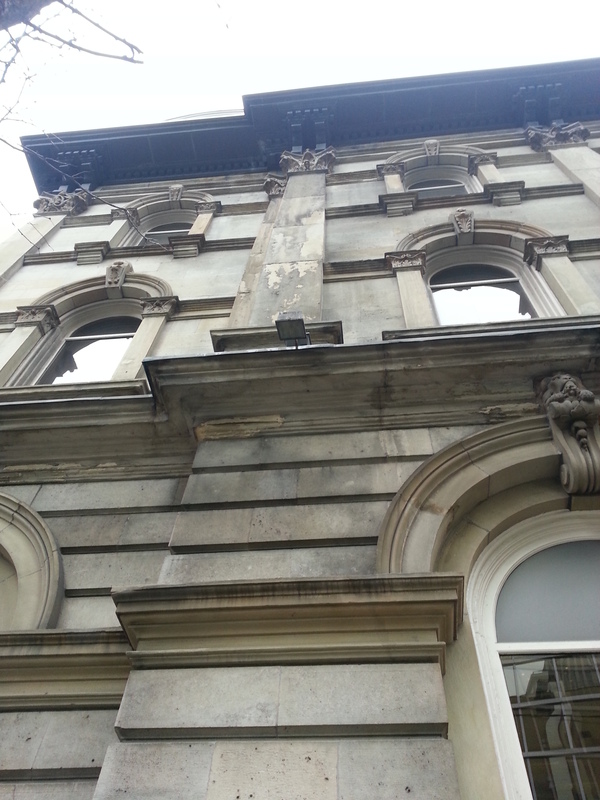 Beside them is a restored heritage facade to a bank building. The appeal here is obvious – old with the new. 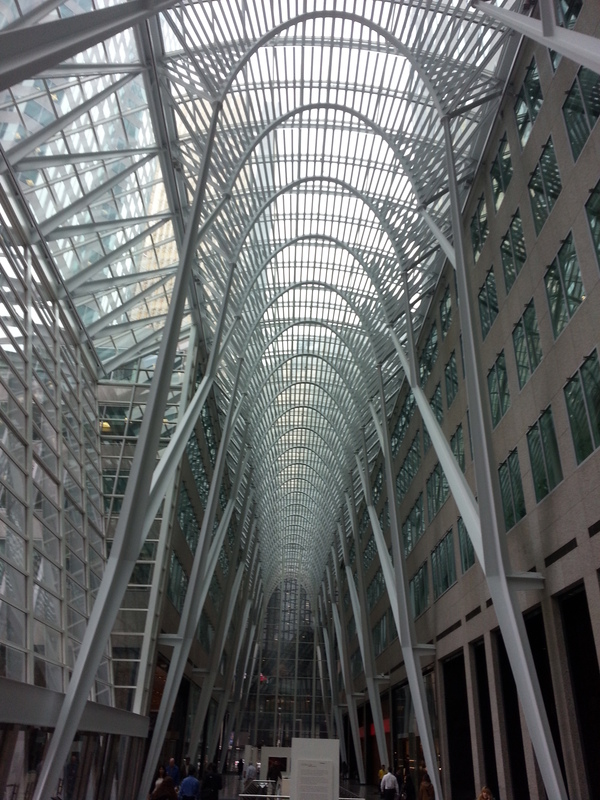 The main attraction, though, is the atrium. The tall atrium. Someone once described to me as a forest – a tall, symmetrical, sterile forest. I personally would not have seen it if not pointed to me, but I see where the comparison comes in. Steel trucks row by row, branches high above with little peeks of the sky between them. Just as I began the walk, I end by sticking around a while to just look up. Yes, definitely a habit. Satisfied, I am tempted to take a tour through the Hockey Hall of Fame – it would be my first in 15 years. Alas, I nix the idea, reasoning it would be better under more social circumstances. I do hit the store briefly for some browsing. No whim purchases though – everything is nearly above what I’m willing to shell out. After that, I exit and walk up Yonge Street for lunch and coffee, courtesy of Dineen Coffee.